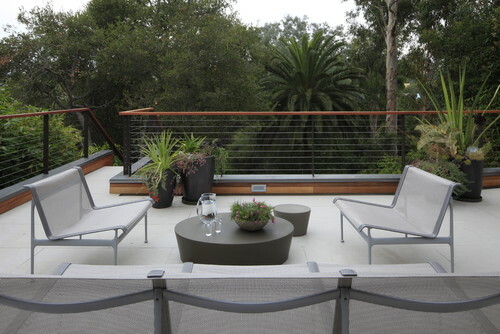 We all love a good patio and some of us can only dream of have someone come in and design one especially for us. We all have different spaces and different budget but today I’m paying no attention to either those and just picking out some damn nice spaces. 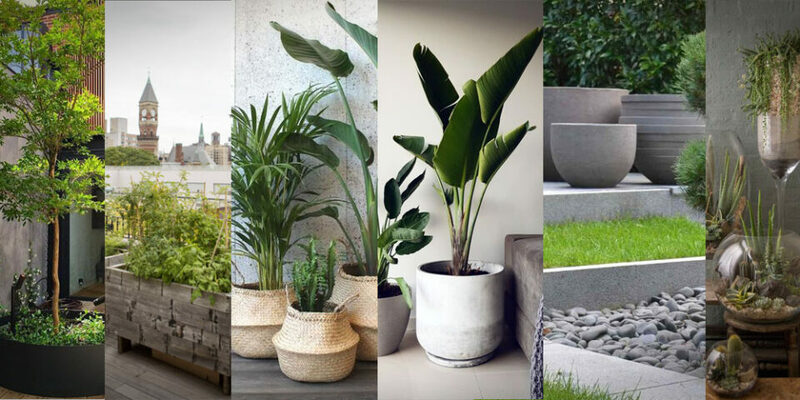 Whether the garden in 10 times bigger or 10 time small than some of these designs is irrelevant, there can always be inspiration in something so have a look through and see if you can come up with some ideas for your own patio space. The purple paradise is enclosed by incredibly high walls and the photos has been taken at a flattering time of day as the sun would rarely get into this small space. However it does mean the owner can have a swing seat and plenty of privacy. Who needs the sun anyway? All aspects of this design tick boxes for me. The view over the garden present it at a different level and the design is simple yet adequate with seating and a table for the obvious evening booze. 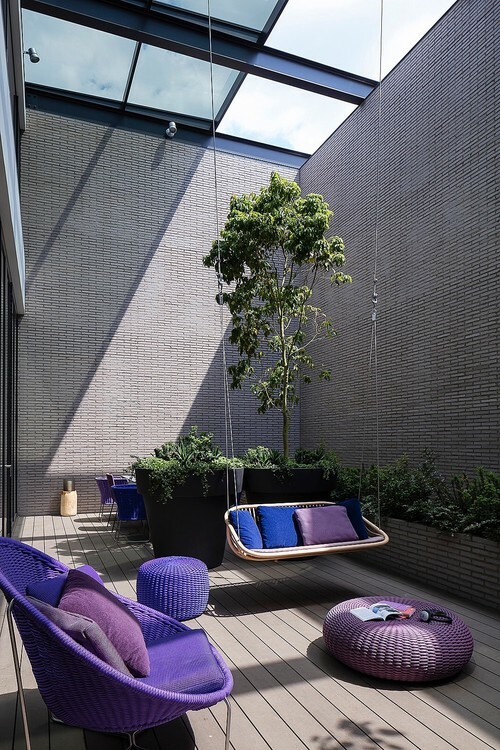 The designers have really gone for sun shade and privacy here as it is secluded from the neighbours prying eyes by some stylish sun drapes and wood paneling. The ivy growing up the wall breaks the straight lines of the wooden panels and the water feature creates a nice focal point. 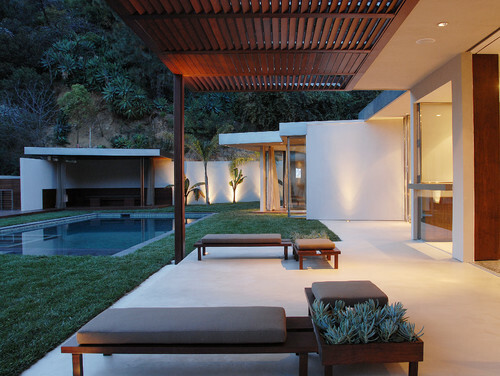 Another very simple design with minimalist furniture so suits. The contrast of white and rendered walls and dark wood accents is common in contemporary design and looks really smart. 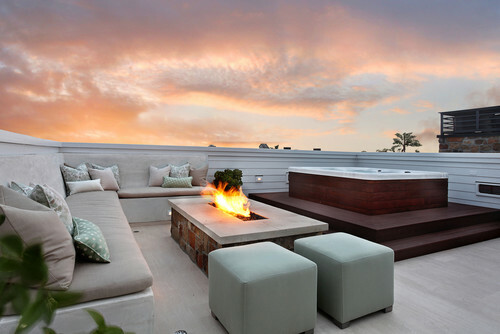 Couple that with some warm up-lighters and the house looks great. 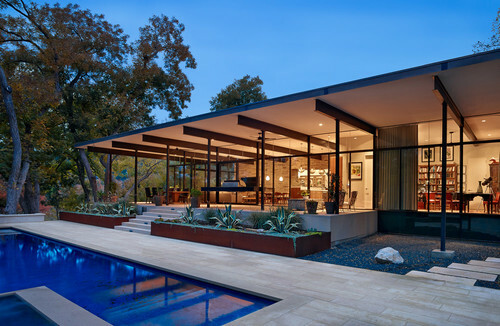 I’m not sure that a dinner would be very hyggeligt here with 2 people so far from each other but the view out into the wild and simple elegant lines of the patio, pool and canopy make this design a nice place to be. 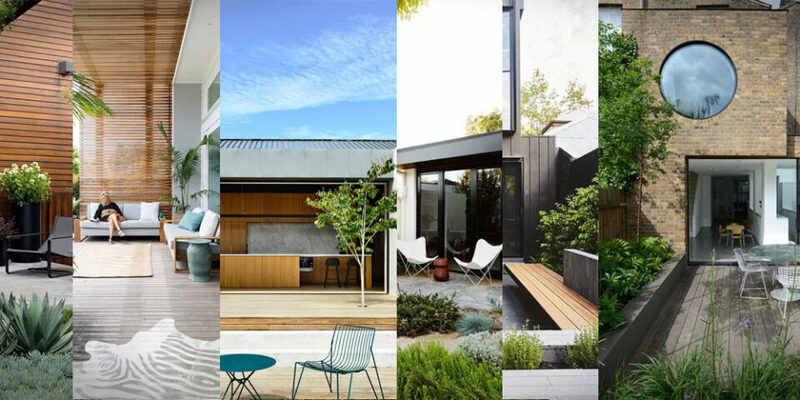 Even a space between to various parts of your house (because all have wings to ours houses) can be designed to be nice and or usable spaces. 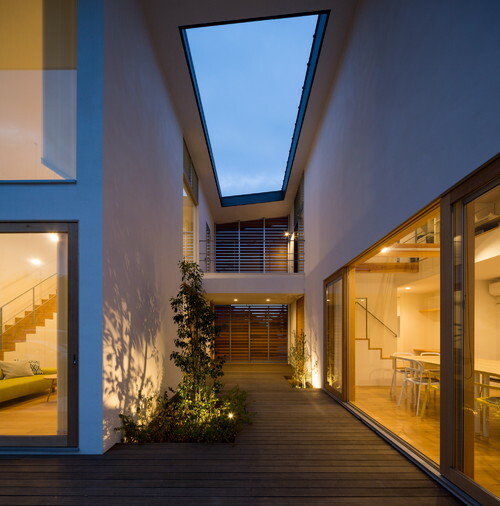 This walk way between the 2 parts of the house makes a nice enclosed space to walk through but also somewhere to sit and chill. The open plan living space also has a huge sliding door which brings that space indoors. New wood is always a seller in pictures, the handy work looking as good as it ever will. 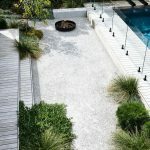 This arrangement with the paving spaced so that some decorative gravel can be placed between is an idea I have seen before and makes the space a bit more interesting that the usual paving. couple that with a warm fire and you are winning! Pergolas are common it seems in contemporary garden design as they allow climbing plants to make you feel like you are really in nature or they allow for sliding blinds to open or close the sun and rain. 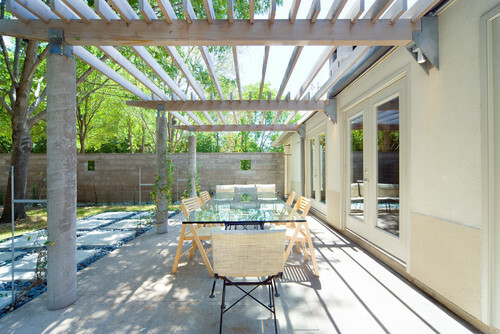 This nice long space uses the paving idea I mentioned before. 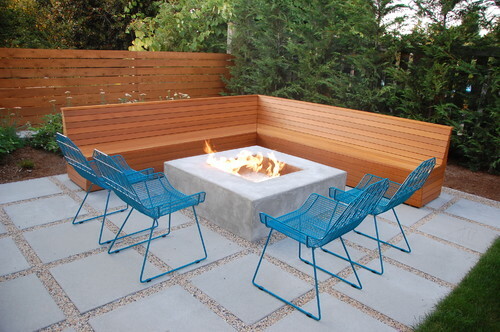 Fire pits seem to have been a bit of a theme here but that’s no bad thing. Having a focal point to a design is key and one that moves creates fascination so water or fire will always work. This design has both in the best ways. Fire to keep you warm on the sofa and a Jacuzzi to relax in.